After playing the crap out of the original Borderlands, I have been anxiously waiting to get back to the world of Pandora. Gearbox and 2K Games have created a sequel in a way sequel's are supposed to be made, it's better. Borderlands 2 improves in every aspect over its predecessor making it a truly enjoyable experience. Fans of the original will no doubt want to check out the sequel. If you never played the original Borderlands, that is okay, you can still jump in with two feet. 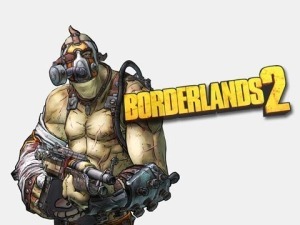 If you are a fan of shooters and loot driven games, do yourself a favor and buy Borderlands 2, you will not be disappointed. Shoot. Borderlands 2 is all about guns, guns and more guns. Gearbox is proud to state that there are literally millions of different gun combinations in BL2. I'm not mathematician, but that's a crap load of guns. Having all these gun combinations wouldn't mean anything if the gunplay wasn't fun. Good thing it is. I've played many FPS games and I always am completely satisfied with the shooting mechanics in BL2. Sure, there is nothing new and revolutionary with the shooting gameplay, but for whatever reason, I am highly satisfied with the gunplay in BL2, it never feels old and is always exciting. I love seeing the word "Critical" dance across my screen every time I score a head shot. I love how all the guns have a different feeling to them, they don't shoot the same. I love shooting a sniper from a distance and just for the hell of it, switch to my incendiary shotgun and go toe and toe with my foes. It is very satisfying to see my enemies be electrocuted with a shock weapon or corrode into nothing with a corrosive weapon. As you can tell, you will never get bored shooting these guns, from a revolver to a high powered sniper, there is something for you to enjoy. If only there were more guns...oh wait, there is!! With all this fun shooting, is there an equally fun story to go along with it? I'll be first to admit that the first BL was lacking in story. When you have so much fun shooting things, you really don't have to have a story, but it would be nice if there is. Luckily, BL2 delivers in every way. The story in BL2 surpasses leaps and bounds over the lackluster story in the original. What makes the story so engaging is the laugh out loud commentary the characters of Pandora create. The voice acting is the best thing in BL2. The four new vault hunters are actually put in a story that is engaging to partake in. What makes the story so engaging is that you get to meet with the four previous vault hunters. In fact, Roland, Lilith, Mordecai and Brick speak way more in the sequel than they ever did in the first title. What also keeps pushing the story along is your new nemesis, Handsome Jack, and how you want to meet him for a epic final boss battle. It's hard not to laugh at the comments Handsome Jack says to you; even though he is insulting you, you still can't help but laugh! You will also find other familiar characters you know and love from the fun loving Clap Trap to "Catch a Ride" Scooter. You will also meet a new cast of characters that you will instantly feel connected to. One flaw about all the great commentary is that there can be so much talking going on; sometimes the characters will talk over each other. This is kind of disappointing because the commentary is so well written, you'll want to hear what everyone has to say! Loot. What really pushes the "same old" gameplay along (even though the gameplay is fantastic in its own right) is the loot system. Anybody familiar with loot driven games such as Diablo, Torchlight and the original Borderlands will feel right at home with BL2. It is so satisfying killing a foe and seeing him drop multiple items. You run up to the items to see if you are lucky enough to find that one gun or that one shield that you've been aching for. You hold your breath as you open a treasure chest for that beautiful sniper rifle that has ungodly damage. You are continuously looking for an upgrade, which makes it easy to keep playing. While guns are the forefront in the loot department, you will also be on the lookout for new shields, grenade mods, class specific mods as well as a new feature in BL2, skins for your character Zer0, one of the four new vault hunters. Yeah, he's a badass. and skins for your vehicles. You may be asking yourself why in the world would you care about skins and what you look like if this is a FPS? Well, when you play cooperatively with friends they will see your badassery. But, if you play solo, you will get to see your new threads whenever you go to the menu or jump into a vehicle. Yeah, it's not necessary to try and unlock all the different skins, but when the game is all about loot, it's still cool to try and get everything you possibly can. Repeat. The process of looting and shooting may sound tedious, but you'll want to continue playing long after you beat the game. The new vault hunters this time around have, I feel, better class trees than the original. Each class has their class specific skill and three different trees to mold your character into a playstyle of your liking. Some players have the option with the assassin character, Zer0, to go down the sniper tree and pick off enemies at a distance. While another player could play the assassin in a totally different way focusing on stealth and melee. While two players could be playing the same character, both could look extremely different depending which tree they pursue. This makes replay ability fantastic. Say you've been max level for some time and getting bored of sniping all the time. All you have to do is respec your abilities, for a very small fee, and go at it again with a totally different feel. While a lot of the game feels similar to the original Borderlands, there are enough differences to make Borderlands 2 a much better game. Little differences such as a minimap on the HUD makes a huge difference in gameplay. Remember in the first game where you're traveling around the area; check your map to realize you missed your turn a while ago? Well, the minimap definitely helps remedy this. Another great aspect of BL2 is that Pandora feels much more alive. Sure, like the original, everyone is trying to kill you, but it feels like there are more towns and people there that livens it up. It also feels that all your shooting and killing has more of a purpose. A very welcome change is that Pandora is no longer simply about deserts. There are new locales that make Pandora feel fresh and you will be eagerly anticipating what new locations you will get to explore next. Shoot. Loot. Repeat. Three simple words that make up Borderlands 2. Borderlands 2 improves over the original in every aspect of the game. Sequels are supposed to be better than the original and sadly we don't always see this in the video game industry. Gearbox and 2K Games; however, accomplished this with flying colors. Expect to sink in many, many hours into this gem of a game. Grab a gun, grab a buddy and hit the roads of Pandora.